Fruit and veg box goals achieved. I’m a MAJOR fruit and veg fan. Like, Zoe+fruit+veg 4 life kind of fan. I am that excited today, I almost have no words. I recently decided to try out the CERES fair food organic box delivery service. I can hand over heart say, I just had one of the most amazing oranges and mandarins I have ever tasted.. ever. 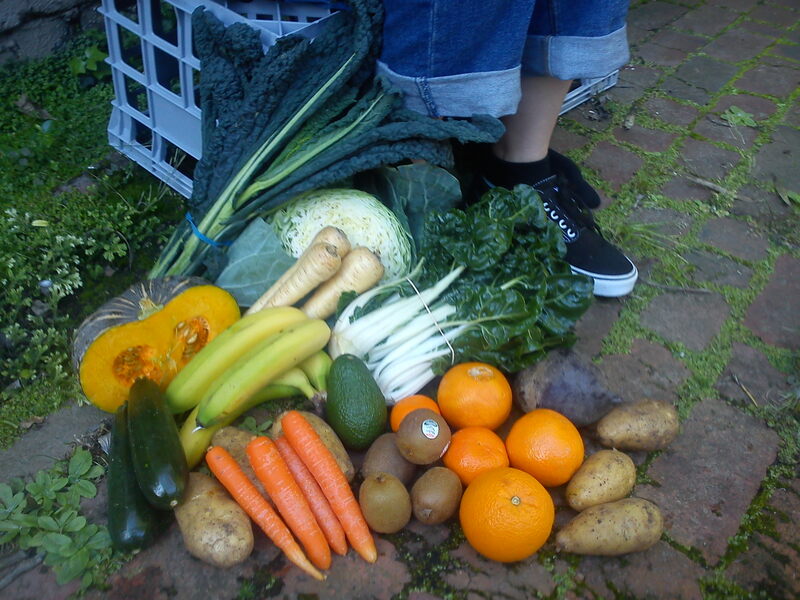 CERES boxes are carefully filled with an abundance of seasonal, gorgeously fresh, organic, locally grown produce.. And a student like me can afford it?! Hells yeah. In an effort to try and get sustainable, support our Aussie farmers and non-for-profit companies like CERES, I thought why not? I tried out this box, because who doesn’t want good gut health? I 100% recommend it. Hope you have beautiful veggie filled days!